Whether they work all week or stay at home, a mother's job is never done! It's the little things you do that make the rest of your family's lives a lot better. They may take their clean underwear for granted, complain about your casserole and ignore the crumbs on the carpet. Still, you keep at it, because you care! 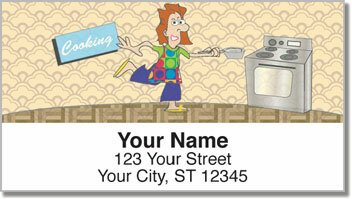 Cleaning House Address Labels are for moms who are much more than maids and cooks, but those everyday chores have to get done by somebody. You are the one who makes that house a home! 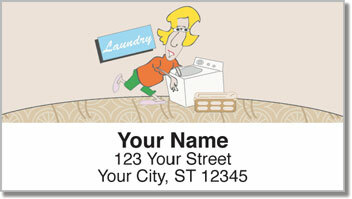 These self-adhesive address labels from CheckAdvantage will make at least one of your tasks a tad easier. Just peel and place the humorous labels on every piece of mail. Then it's on to the next thing! 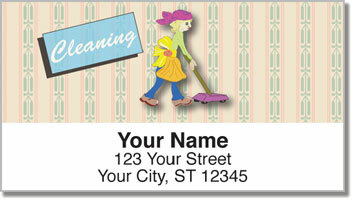 Get your own Cleaning House Address Labels right now! 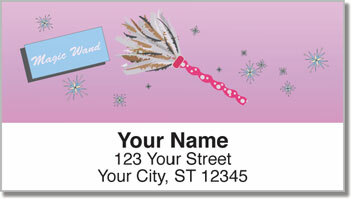 We also offer matching personal checks.